SAN SALVADOR , Dec 12 2017 (IPS) - Countries in Central America are working to strengthen their regional electricity infrastructure to boost their exchange of electricity generated from renewable sources, which are cheaper and more environmentally friendly. With the Clean Energy Corridor, a project agreed in 2015 by the governments of Costa Rica, El Salvador, Guatemala, Honduras, Nicaragua and Panama, these countries seek to share their surplus electricity from renewable sources, including non-conventional sources, such as wind, geothermal and solar. To achieve this they will have to gradually modify their energy mixes to depend less and less on thermal power, which is more expensive and has more negative impacts on the planet, since it is based on the burning of fossil fuels. The objective is to inject cleaner energy into the system that interconnects the electricity grids of the countries of the region, with economic and environmental benefits, experts and regional authorities told IPS. “Each country is doing everything possible to generate energy with clean sources…and if there is surplus energy that is not consumed, it is illogical for it not to be used by other countries that are using thermal power: that’s where the Clean Energy Corridor comes into the picture,” Fernando Díaz, director of electricity at Panama’s Energy Ministry, told IPS. About 60 percent of electricity in the region is produced from renewable sources, mostly hydroelectric plants. But Central America is still highly dependent on fossil fuels, says a report by the International Renewable Energy Agency (IRENA). This organisation, based in the United Arab Emirates, promotes the development of renewable energies in the world, and is the main driver of the Corridor project in Central America, following similar efforts in Africa and Southeast Asia. The Corridor will use a platform already functioning in Central America: a 1,800-km power grid cutting across the isthmus, from Guatemala in the extreme northwest, to Panama in the southeast. 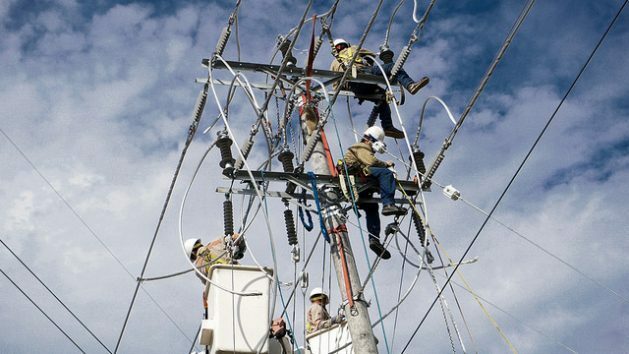 The grid was built to give life to the Regional Electricity Market, created in May 2000, as part of the Central American Integration System (SICA), a mechanism of political and economic complementation established by the presidents of the area in December 1991. Over 50 percent of the energy traded is supplied by hydroelectric plants, 35 percent by thermal and 15 percent by geothermal, solar and wind, explained René González of Nicaragua, executive director of the Regional Operator Entity (EOR), which administers electricity sales. It is estimated, he added in a dialogue with IPS in San Salvador, that the proportion of non-conventional renewables could grow to up to 20 percent by 2020. The countries of the area as a whole will need an additional seven gigawatts that year, on top of the current level of production, according to a report published in July by IRENA. The Corridor is in line with the goals set out in the Central American Sustainable Energy Strategy 2020, agreed by the governments of the region in 2007, which aims to overcome the dependence on fossil fuels and promote renewable sources, Werner Vargas, the executive director of the SICA General Secretariat, told IPS. “The idea (of the Corridor) is to inject clean energies into the Central American electricity system, but guaranteeing that there is not too much variability,” explained Vargas, at the Secretariat’s headquarters in San Salvador. Part of the challenge is to operate a system with higher flows of renewable electricity, which is more unstable, as is the case with solar and wind sources, which depend on climate variability. “The problem is the stability of the sources. 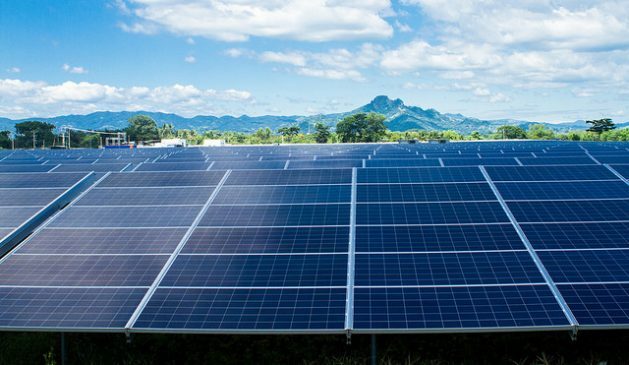 The State can have a 60-MW photovoltaic plant, but if there is variability, it must have a backup in thermal, hydroelectric or other sources allowing it to meet the needs of the market, ” added Vargas, who is also from Nicaragua. The governments of Central America must also develop the necessary regulatory frameworks to adapt the technical processes and purchase and sale of energy from mainly renewable sources. If national power grids are fed with clean sources, and surpluses reach the regional network, Central American consumers will be able to have cheaper electricity. “The cost of electricity production is about 70 percent of its total cost, so if you want to reduce the cost of supply to the final consumer you have to reduce the cost of production,” said the EOR’s González. He added that the corridor would affect production costs, and the regional market is a way to achieve that goal, since it can inject cheaper energy produced in other regions. In the same vein, “the vision we have in Central and Latin America is to move towards renewable energies, towards corridors, and that is why interregional connections are important,” said Díaz, from Panama’s Energy Ministry. He mentioned the case of the project of interconnection between Panama and Colombia, which would link the electricity market of that South American country not only with Panama, but by extension with all of Central America, while linking Central America with different parts of South America. “This way we will have the capacity to capture solar power from the Atacama Desert, in Chile, hydropower from Brazil, and wind power from Uruguay; these are the things we are seeing as a region,” Díaz said. Another economic benefit derived from greater energy integration in Central America is that the region is more attractive to international investors, seeing it as a bloc, rather than separate countries. “It is more attractive to invest in larger projects than individually, that is another fundamental reason for the project: it generates conditions to attract investment,” said the EOR’s González. But despite the economic and environmental advantages of further development of renewable energy sources, some environmentalists argue that the issue is being viewed too much from a technical and economic perspective, without considering some social costs that these projects may entail. “There are projects where solar collectors are used on large extensions of land that could be devoted to agriculture or used to build houses…it seems that there is only interest in energy and making money quickly,” said Ricardo Navarro, director of the Salvadoran Centre for Appropriate Technology. Navarro, who is also head of the Salvadoran branch of Friends of the Earth International, told IPS that it is important for the planet to seek to increase the use of renewable energies, but with that same emphasis the governments of the area should engage in energy saving policies. “How about trying to reduce demand? For example, a tree prevents the sun beating down directly on a building, and thereby reduces the demand for air conditioning; there are also ways to cook food with less electricity,” he said.